We are so very excited for Cookie to join her half sisters Honour and Harlo to live and be loved by us in Australia. With an Amazing Pedigree Cookie has some BIG Paws to fill !! 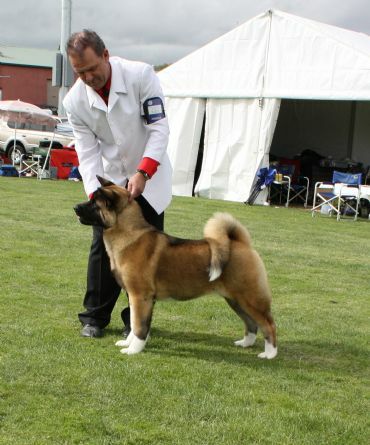 Her Dam is the Amazing "Halo" REDWITCH SHOW ME HEAVEN a proven Dam that produces Type Soundness and Balance and Quality and Cookies SIRE IS THE STUNNING "LENNON' AM CH CROWN ROYALS STAR'N A REVOLUTION Say no more What an amazing combination ! From a wee baby we could not take our eyes off Cookie and we are so pleased that Dear friend Margaret decided to send us this Stunning Baby Girl !! 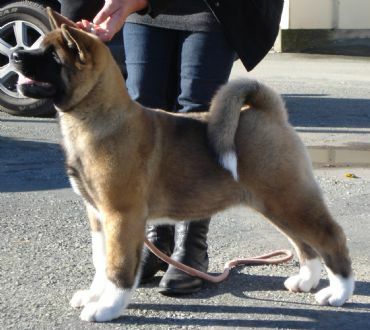 Cookie's Brother is the Stunning "Kumatzu" in New Zealand who is loved owned by Kodo Kennels and handled by Paula Ireland . Craig and I are so very excited for our New Girl !! Photos of Cookie Main Photo 6.5 months and 4.5 months and 13 weeks Thanks to and Margaret and Paula for the Fabulous photos !! Cookie has had very limited showing in 2012 due to her huge coat drop. 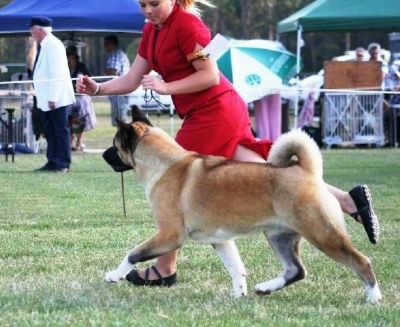 Cookie and Samantha are having a blast in the ring with Sammy winning 1st place with cookie in handlers at the Sunnshine coast kennel club and third place in a huge line up at Caboolture Kennel Club !